BruxApp Award-Winning Research - BruxApp - applicazione bruxismo. 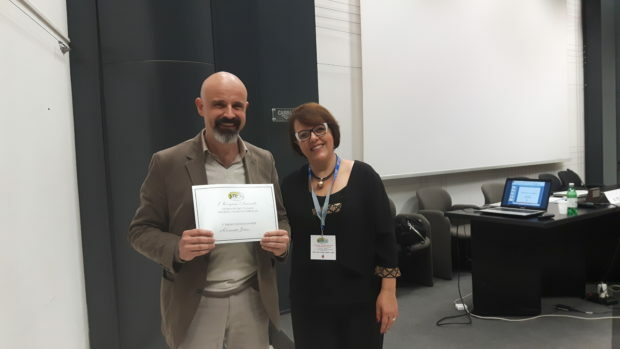 On the 2nd GSID International Conference entitled “Let’s chew on Bruxism” entirely devoted to Bruxism, Prof. Ms Junia Serra-Negra ( Federal de Minais Gerais University, Brasil ) rewards Dr. Alessandro Bracci in cooperation with Padua University, for the posters search “ BruxApp and the ecological momentary assessment of awake bruxism. Preliminary data on a sample of university students “.